Although regular vacuuming can remove dry soil and debris from your carpeting, it leaves behind oily soils and particles that are produced from cooking vapors, pets, and dirt tracked in from outside the home. Most tile and grout cleaners rely on water pressure or steam to clean hard surfaces. Our techniques clean grout and tile without damage. Upholstery furniture cleaning helps preserve your investment. Relying on an expert will ensure that the upholstery in your home receives the care and maintenance it deserves. 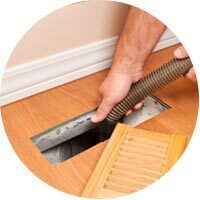 A thorough duct cleaning done by a professional duct cleaner will remove dust, debris, pet hair, paper clips, children's toys, and whatever else might collect inside. Ideally, the interior surface will be shiny and bright after cleaning. 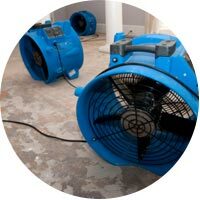 Water damage services include the inspection of the affected area(s) with water sensing equipment such as probes and other infrared tools in order to determine the source of the damage, and possible extent of area affected. Do your Carpets need attention? Does your carpet look overused and matted? Don’t waste the weekend scrubbing those stains out with a store bought carpet cleaner. Let us show you what our rotary cleaning system can do…It’s Simply incredible!! Most people only notice the condition of their carpet and upholstery when they become visibly soiled. But by the time it’s finally noticeable, layer upon layer of stains, bacteria, and mineral deposits will have built-up into a mess you can’t clean on your own. It used to be that carpet and upholstery had to be replaced once they reached this state — but now you have a better option. With our rotary cleaning system we can restore soiled carpet and upholstery to look like new! Even if your carpets still look clean, they almost certainly contain unseen dirt that can affect color and sanitation. So for complete restoration or routine maintenance, let us demonstrate the amazing results of our revolutionary system. Utilizing Top Grade Rotovac Carpet Cleaning Equipment Prompt Service , Reasonably priced to get your carpet looking its best.Never be surprised by hidden charges!